I wanted to share with you this great set of books by Christine E. Reeve and an activity I have been using in my class lately to foster communication, expand language and work on social skills as well. Functional Vocabulary for Children is a set of 10 books. These books each contain a simple story with repetitive language about every day routines. The story we have been using is "Kai Gets Dressed". I wanted to find an activity that I could do with my whole class that would foster language on many different levels so that it fit the many levels of my students. First we start off by reading the story from start to finish as a whole group; encouraging them to chime in on the repetitive portions on each page. These books are wonderful because they there's a sentence on every page that repeats itself making it easy to get the kids involved in the story. As we read through the story and the kids become familiar with it the students with higher language skills are able to join in and help read the story. 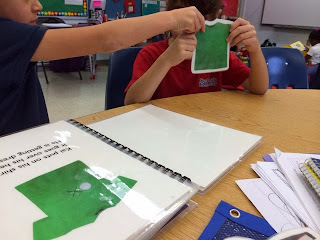 Once we become familiar with the story pattern then we include the individual Velcro pieces that are unique to each book. In the book "Kai Gets Dressed", there are individual pieces of the clothing that Kai uses to get dressed. Part of the activity of the book is to match those pieces to the identical pictures in the book. 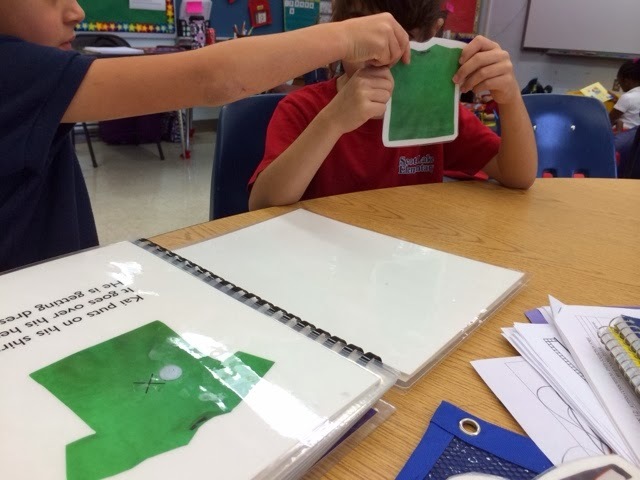 Below you see a student matching the clothing piece to the identical picture in the book. As a way to involve everyone, I vary this part of the activity when using it with the whole group by distributing those clothing pieces to the students in the group. As we read the story again, the group with a clothing piece hold their pieces up so that everybody can see what piece they have. 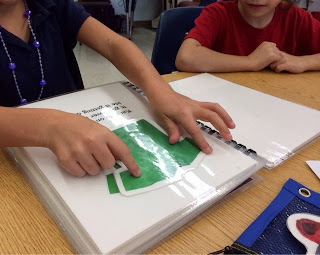 I let one of my youngest nonverbal students practice his matching skills by locating the student with the piece that coordinates with the picture in the book. He then has go to the student, retrieve the piece and return to the book and place the piece in the book. All the students repeat the story aloud as we read it aloud. This activity has proven invaluable for the interactions the nonverbal student has with all the students, the vocabulary used in the activity, matching skills and language skills. Does anyone else have these books? What have you done with them? 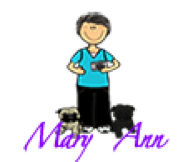 Please drop me a comment and let me know.